Welcome to Superchrome, one of UK's leading digital printing company, offering canvas photo art print as one of its many specialties. For years we have been proving our efficiency in the creation and delivery of amazing canvas photo art print with the help of the most modern innovative technologies, that too at attractive prices. We can convert your digital camera photos and photographs to canvas art masterpieces in a variety of canvas formats like stretched canvas art, large framed art, small framed art, canvas art prints and more. We have with us the most up-to-date scanning and imaging technology for quick processing and printing. This has enabled us to print hundreds of canvas photo art prints daily, turning your treasured memories into durable masterpieces. To get the best archival quality and UV stability, we use only lightfast UV ink and water resistant photo dyes to avoid fading. Moreover, they are laminated for added protection. Our canvas photo art print is largely preferred by photographers and artists, since the photo prints look gorgeous in our canvas formats. Our canvas prints have the same effect as that of the original painting; we can add a special texture to photos and images. Our canvas photo art prints are more long-lasting than paper prints. The canvas prints produced by Superchrome display remarkably high quality and color accuracy. At Superchrome, we take utmost care to offer you crimp-less and wrinkle free prints. We are committed to help you organize and store your beloved moments, as such for long period. Our privileged customers can visit us online to find prints to your liking and within the range of your budget. 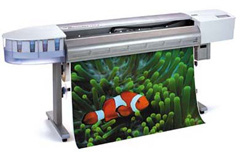 You can also get acquainted with our superior digital printing quality. Do get in touch with us for quick, professional and friendly service. If you would like to know more about canvas photo art print, any of the projects shown or if you want to discuss any project you have coming up then contact us 020 7237 9333 or fax 020 7237 9444 or email sales@superchrome.co.uk. Our experienced personnel would be able to guide you appropriately.